Würzburg is a popular tourist destination on the shores of the Main river, featuring a rich historic heritage, a famous wine making culture and one of the leading German Universities. The city is young and lively with nearly one out of three of its 130,000 residents being students. The region of lower Franconia attracts about 3,000,000 visitors annually, nearly half of which also visit Würzburg. The city can be reached conveniently using frequent express ICE train connections, for example from Frankfurt international airport in no more than 1:30 h. Access by car is facilitated by the nearby intersection of 3 major national highways. Touristic highlights include the medieval Marien-Fortress, a historic bridge spanning the Main river, local vineyards, a centuries old food and wine culture as well as the baroque ‘Residence’ palace, a renown Unesco world heritage site. 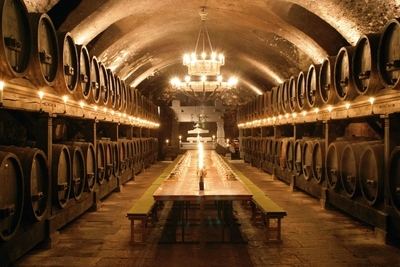 The conference excursion will include a candlelight wine tasting in the cellars of Würzburgs oldest and best known wineries. The Julius-Maximilians-University with its 29,000 students is among the highest ranked and most popular German universities. The city is also home to the University of Music, the Würzburg-Schweinfurt University of Applied Sciences, a Fraunhofer Institute and the South German Center for Synthetic Materials. The local economy is dominated by the world's second largest press manufacturer, automotive suppliers, apparel companies, the tourism business and countless small enterprises with global reach from the famed German Mittelstand. The meeting will take place in the Congress Center Würzburg (CCW), in walking distance from the historic city center. It features modern, state of the art conference facilities and services, suitable for events hosting up to 800 participants and including a large exhibit area for industrial showcases.